Time for a new fan club! I always get the urge to join something in September. Must be left over feelings from school days. So, this year I'm starting a fan club. What do Homer and Homer have in common you ask? 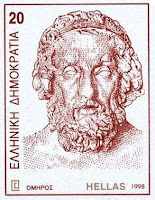 In the Hellenistic period, Homer was the subject of a hero cult in several cities. Homer Simpson is a cult figure in his own time. Both possibly mythical figures but we don't like to dwell on this. 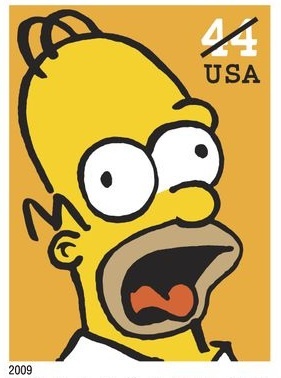 USA Today cited Homer Simpson as being one of the "top 25 most influential people of the past 25 years" in 2007. Homer was pretty influential too. 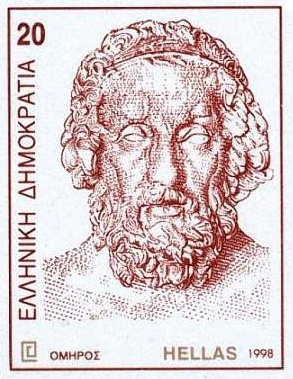 Homer is usually said to have been blind. Homer Simpson is blind but has his eye sight. There are probably a lot of other things but we'll save that discussion for our first meeting. I'll be President because it was my idea. If we get more than 2 members, I'll print up membership cards. If we get more than 3 members, we can have badges too. Club is open to anyone who can spell "Homer".